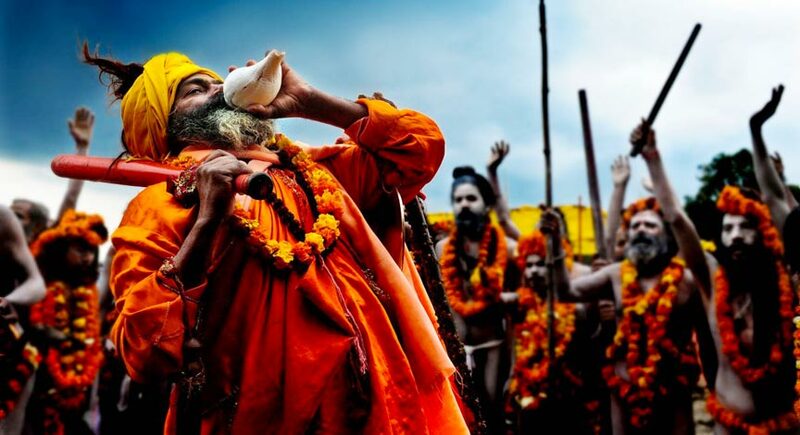 Kumbha Mela, the largest spiritual yogi meeting in the world is held every three years in one the four cities of : Hardwar, Allahabad, Nasik and Ujjain. Everyone comes there for a bath into this high spiritual atmosphere where the sacred vibration is at its upmost. Day and night, some ascetics perform rituals for the welfare of mankind when some others transmit secret teachings within their lineages that can only be met during this celebration which reflects the several thousand years old yogic cultures. We invite you to an exceptional program with exceptional conditions for meeting prestigious masters coming from all spiritual yoga currents, including from physical approaches to highest meditation schools. Staying and lodging : In double bedded air conditioned luxuous Swiss tents with attached bathroom and large veranda. Secured camp site by high trained private warden, ayurvedic cuisine, mineral water, doctors on the spot, wifi and international call zone.